Home>Intellectual Infrastructure, Meet Our Staff, Staff>Fungau Ho, Ph.D.
Dr. Fungau Ho has a broad range of experience in new product and new process R&D gained from more than 30 years of experience in Union Carbide and Dow Chemical. For more than 20 years he was responsible for all technology-related issues and problems in acrylic acid and esters production, supporting pilot plants and production units around the world. He was also a key participant in the development of new technology for acrylic acid production, which he invented and demonstrated in a pilot plant. He then worked with other departments to prepare technology packages for commercialization. 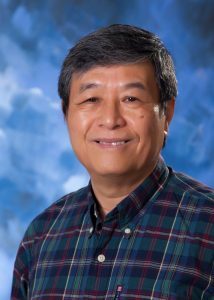 Dr. Ho also has extensive experience in process fundamentals and a variety of separation techniques, including distillation, extraction, and adsorption.